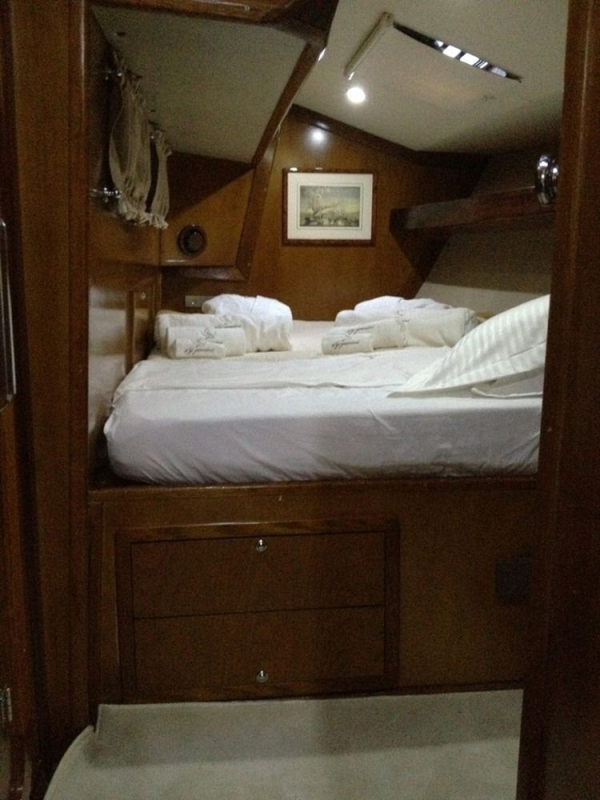 This beautful luxury crewed 63 feet sailing yacht features 4 air conditioned double staterooms, each with its own head and shower and two smaller (crew or guest) cabins with en-suite facilities. 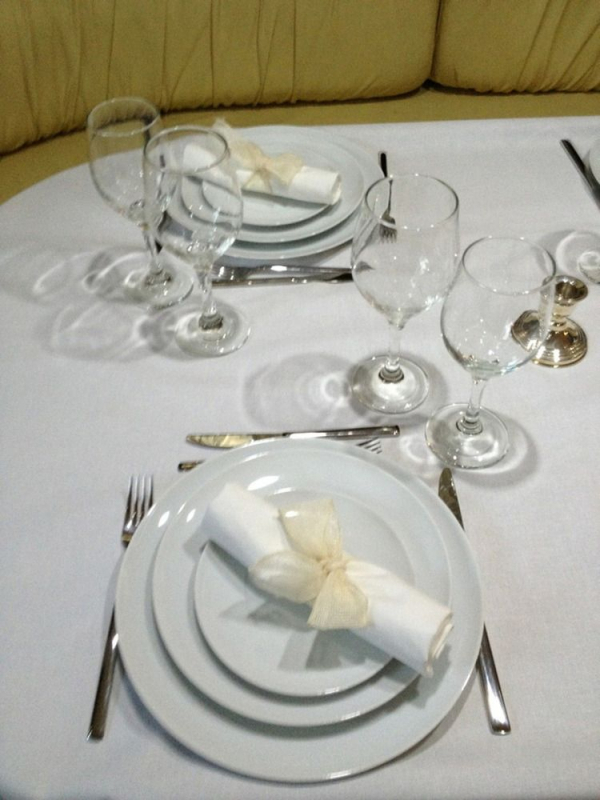 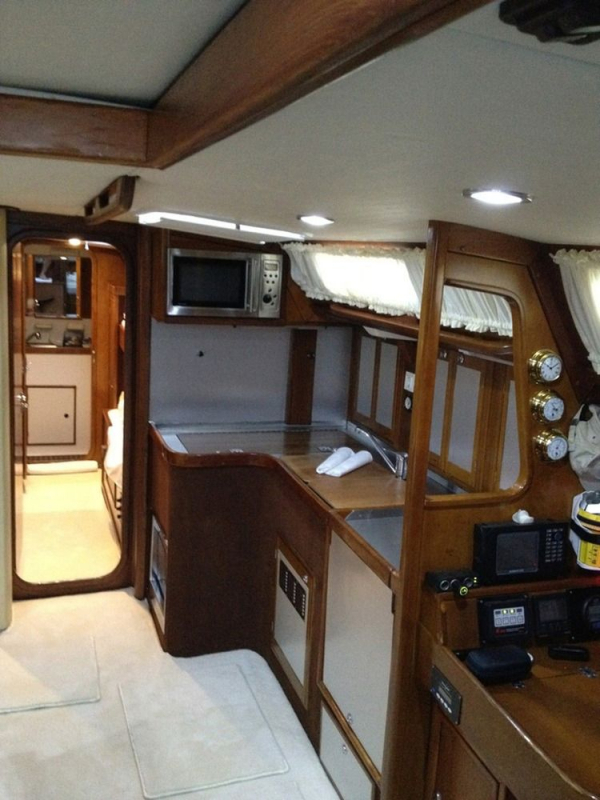 A fully equipped galley, stove, oven, refrigerator and microwave will allow you to prepare your own meals or, if you choose have it prepared by the yacht's Chef (optional crew member). 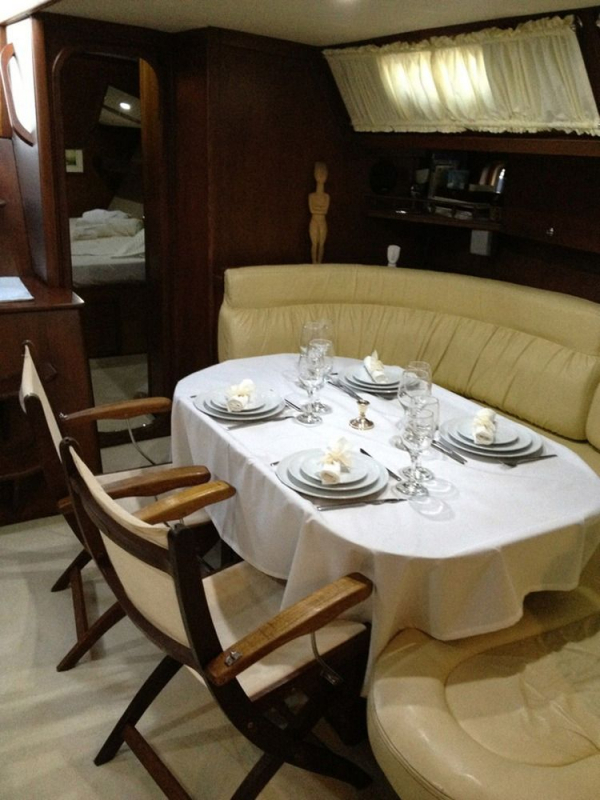 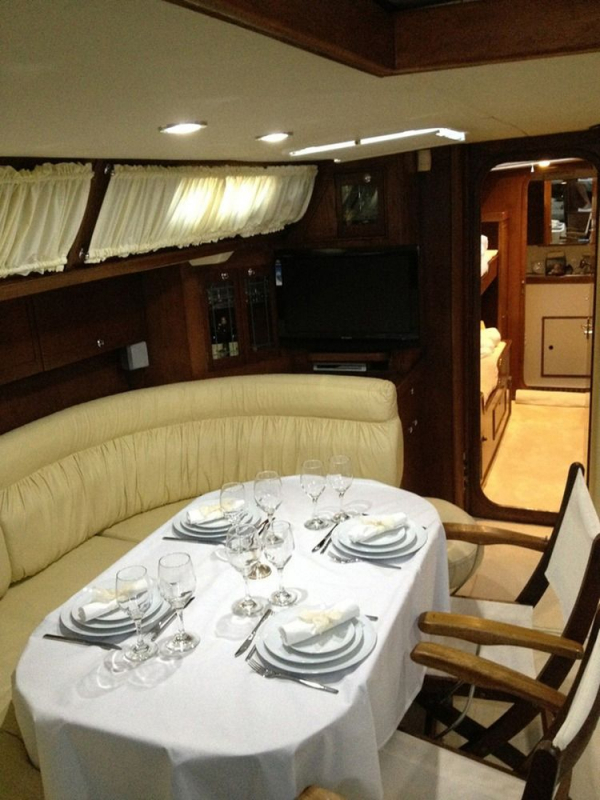 Guests can enjoy meals inside the dinette which is beautifully decorated with the warmth of teak and the luxury of leather or outside at the cockpit table amidst the blue sky. 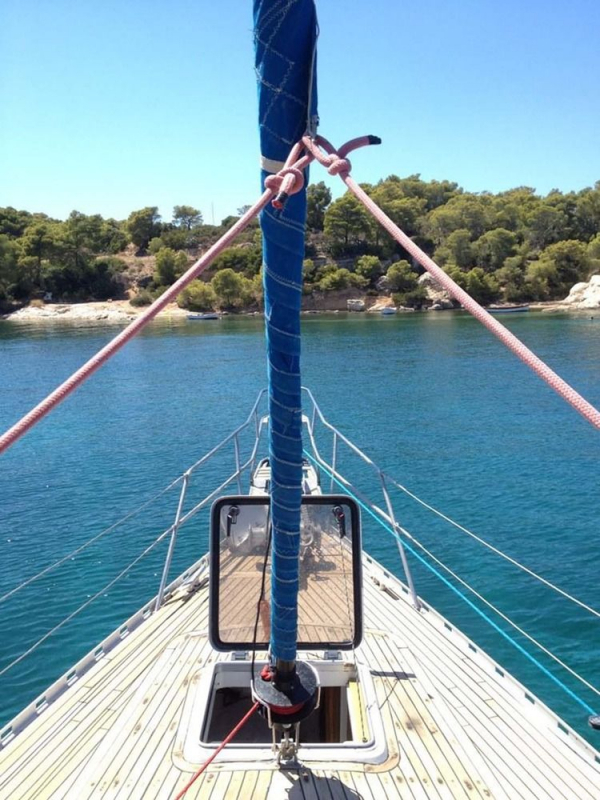 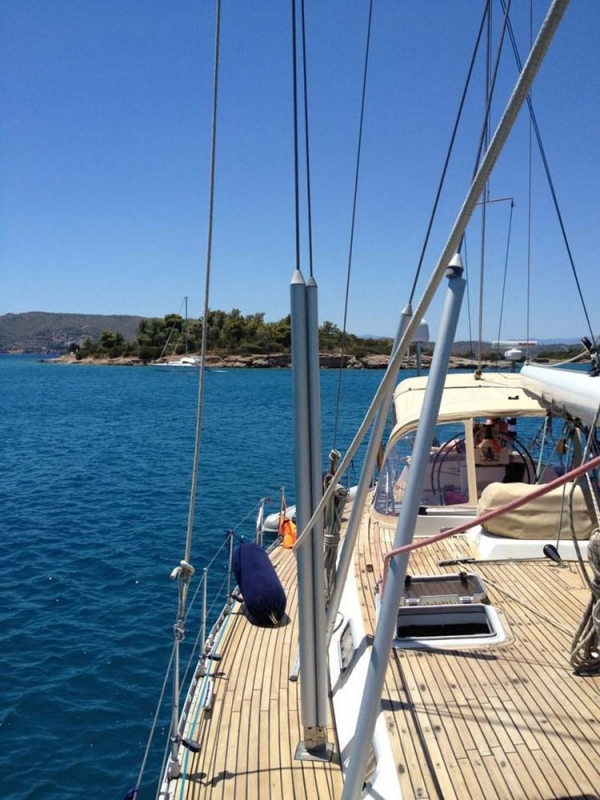 The spacious deck will ensure that you will have plenty of room to relax and to soak up the warm Mediterranean sun. 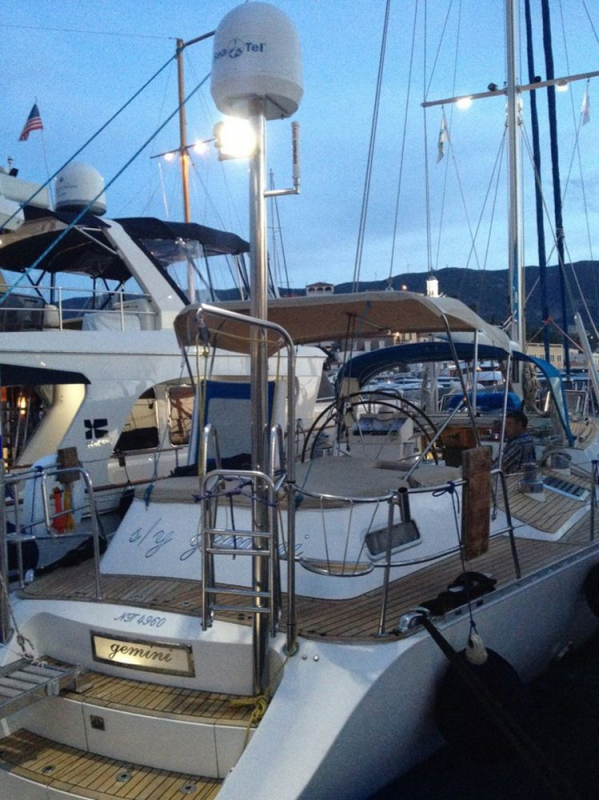 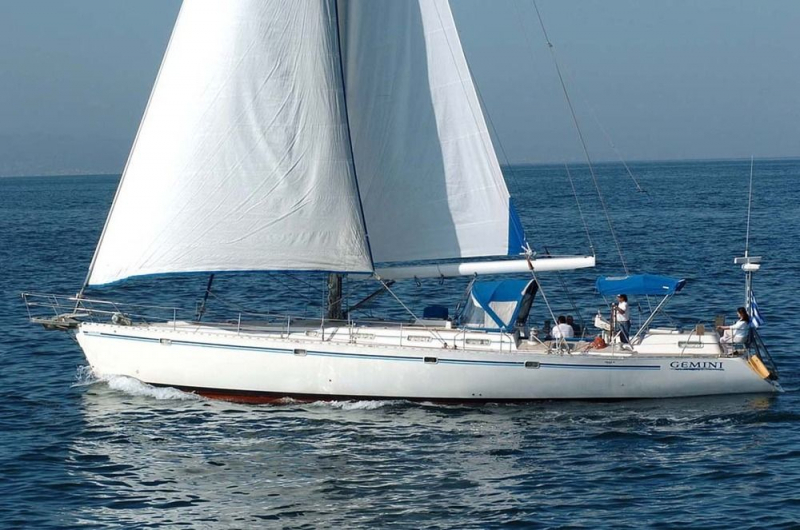 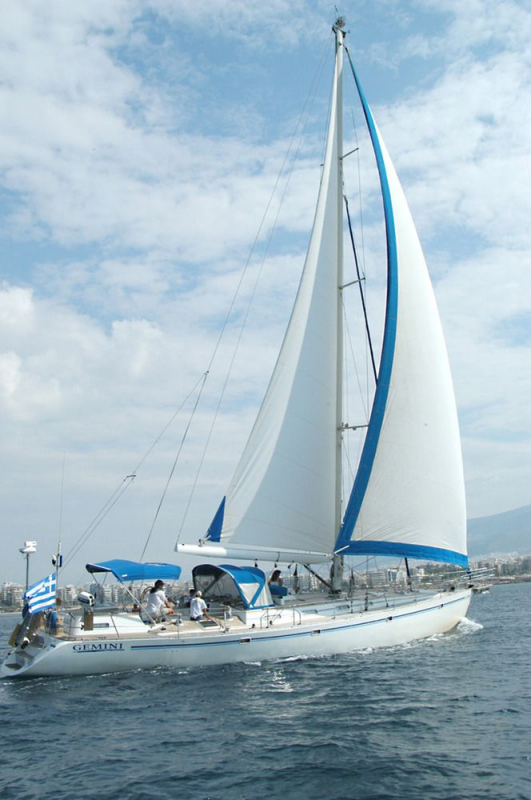 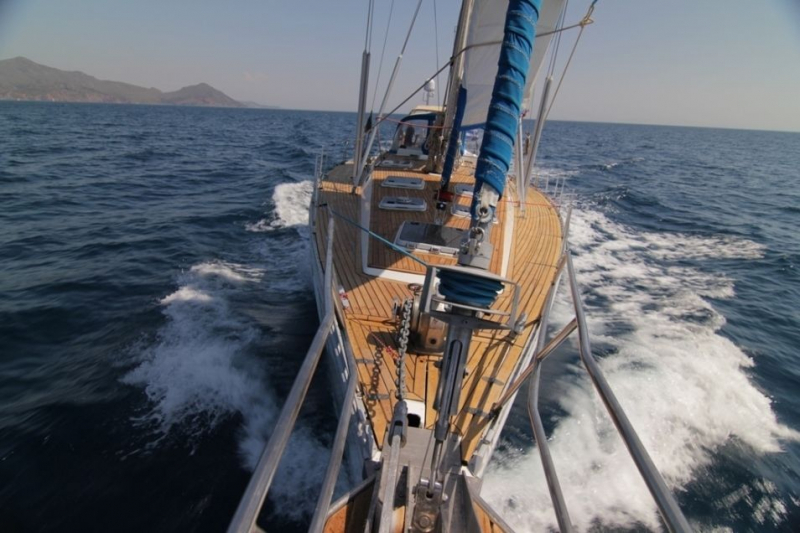 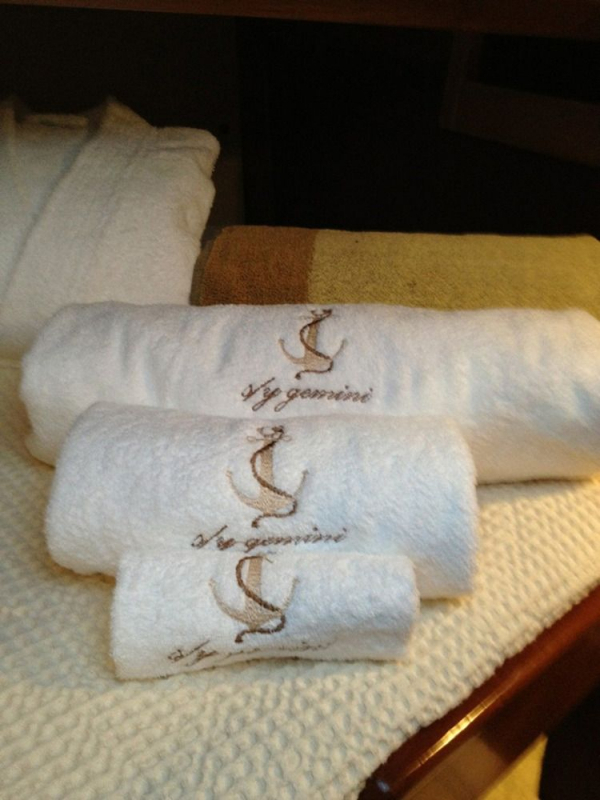 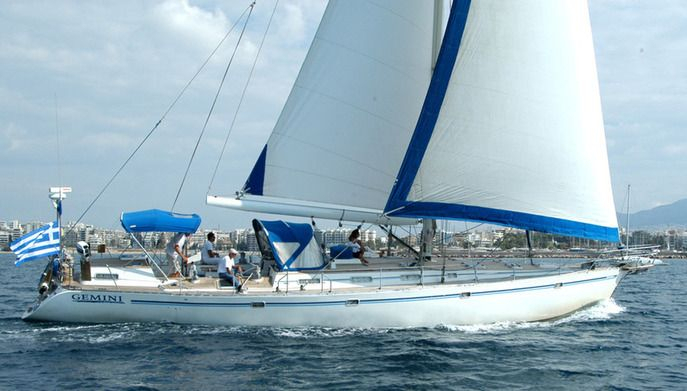 For the more adventurous guests, the skipper will be more than happy to let you try your skills at the helm. 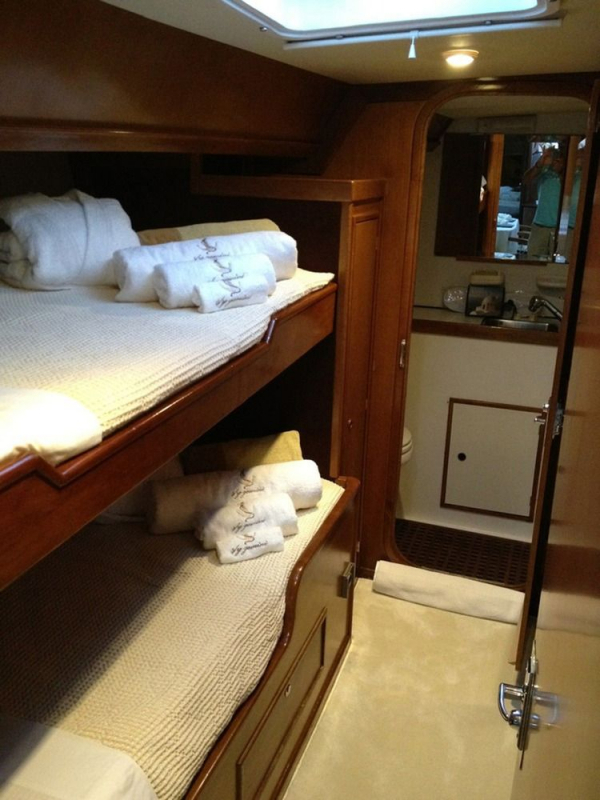 4 air conditioned double cabins, each with its own head and shower and two smaller (crew or guest) cabins with en-suite facilities.